The Twenty Critical Security Controls have already begun to transform security in government agencies and other large enterprises by focusing their spending on the key controls that block known attacks and find the ones that get through. The automation of these Top 20 Controls will radically lower the cost of security while improving its effectiveness. The 20 career descriptions in this booklet are designed to help those interested in entering the field to select the career path that best matches their abilities, their interests, and their objectives. 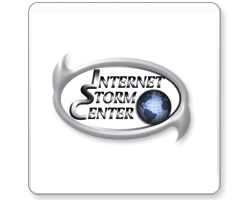 The ISC provides a free analysis and warning service to thousands of Internet users and organizations, and is actively working with Internet Service Providers to fight back against the most malicious attackers. Computer security research and whitepapers. Consensus guidelines for effective cyber defense. 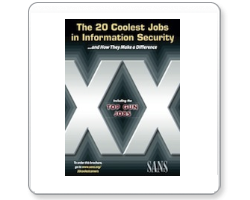 The 20 coolest jobs in information security and how they make a difference. Internet security monitor, analysis and alert system.